The article was published in Steven's Window, The National newspaper Friday 4th December 2009. Photo of young Gadsup speaker with mother. Photo credit: Keisiva Darius. The Atlas of World Languages, revised edition, says that the future of the Melanesian languages and their survival is uncertain. The use of English in education and of varieties of Melanesian Pidgin as national languages means that many children are failing to acquire their parents’ traditional tongues. Many of these languages have fewer than 500 speakers. Many of these languages are disappearing everyday. The prognosis of many of the languages with less than 50 speakers is gloomy. The case of Papua New Guinean languages undergoing this linguistic death is more severe than perceived. In the second week of November 2009 UPNG students of linguistics, professional linguists, and others concerned about the languages of Papua New Guinea gathered in a workshop to discuss language surveys in Papua New Guinea. The workshop is the first of several collaborations between linguists Professor Genevieve Escure of the University of Minnesota and UPNG colleagues Professor Kenneth Sumbuk, Mr. Sakarepe Kamene, Mr. Nick Garnier, Professor Betty Lovai and this writer. The concern with language death, unreliable data, inconsistent reporting, and the status of languages with less than ten speakers brought us together with students to work on a survey of languages in Papua New Guinea. Languages in Papua New Guinea are under considerable pressure as the nation progresses from the stone-age society to the gas-age culture. “As communication, education, and modernization proceed, there is considerable pressure on many of the smaller languages of Melanesia,” reports The Atlas of World Languages. A small language like Susuami, spoken in the resettlement village of Manki in the Upper Watut Valley of Morobe Province has shrunk from 50 speakers in 1980 to about a dozen in 1990. We have no way of knowing if this language is still spoken today. Many more languages have been pushed off the linguistic map of Papua New Guinea without anyone knowing. Early in this decade I raised the alarm on some of these languages. From the data made available from the SIL (Summer Institute of Linguistics) and other sources like the Ethnologue of world languages we know that at least more than 10 languages are death and another 12 or more were tagged as nearly extinct. The likelihood of this statistics achieving an increase in the number of moribund languages is a reality. Without concentrated efforts to research and map out local language use in Papua New Guinea this country stand to lose a lot of its languages. We have no accurate data regarding the languages of Papua New Guinea. The data available from the National Population Census and the Election Census is often very inconsistent, insufficient, and inaccurate as a measure of the survival or disappearance of a language in PNG. No government initiative or programs are in place to deal with this linguistic disaster. The government has turned a blind eye on this national tragedy of languages, cultures, and people. The boastful ultra-national sentiments on the linguistic and cultural diversity are only a window dressing of the darker side of national ignorance when it comes to language survival and death. An immediate intervention is needed to slow down the rate at which our languages are disappearing. A strategic rethinking and re-evaluation of the path we have taken to avoid the issue of language survival has to eventuate soon. Without doing so we stand to lament the disappearance of unique groups of people with their languages in our midst. Our children too would follow us down this road without making sense of heads or tails of their identities. Consider this, with the global change, a small Papuan language like Rotokas of Bougainville Autonomous region is on the way out. Rotokas has achieved fame in The Guinness Book of Record as the language with the world’s smallest number of phonemes. It has 11, compared, for example, with the 44 in English. Do we know for sure if this language has remained unchanged? We talk about big things, but when it comes down to smaller things we turn away from it. Let me put it another way. Those of us in the forefront of research and teaching of language know that our children are growing up speaking English and Tokpisin. It is easy to argue that educated Papua New Guineans should be the first ones to teach their mother tongue at home with their children. It is, however, difficult to make that work, especially with intermarriage families, and at urban centres where our children interact with other children in Tokpisin and English. 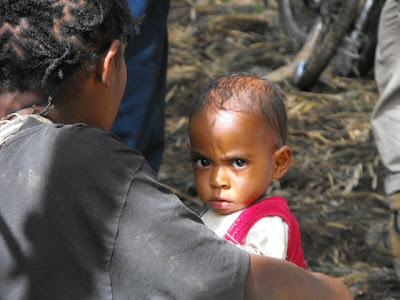 A certain social stigma is also at play with language use among children in many parts of urban Papua New Guinea. Children speaking their mother tongue are often excluded from the games initiated and dominated by speakers of Tokpisin and English. The issue here is that we consider language as a natural human skill and behavior, but we never consider language bias as a factor driving our Papua New Guinean languages to extinction. Why are dominant languages more than likely to force small languages to extinction? During the workshop on language survey in Papua New Guinea one of the students explained that in his native Kainantu area, he observed that some of the smaller languages were forced out of use by the dominant Kafe language. Why? We need to document the reasons for this language pattern and biases that are forcing some of our smaller languages out of existence. Setting up a well funded national language institute or program might be a start for the government if it cares about national languages of Papua New Guinea. As I write this article I am as more hypocritical as anyone I know who is conscious of the language use at home with our families that our Tokples is left out of the equation of modern urbanites. We must accept the blame as well for not taking action to speak our Tokples to our children. In the ideal world, unlike ours, it would make sense for everyone to keep their languages alive at home.